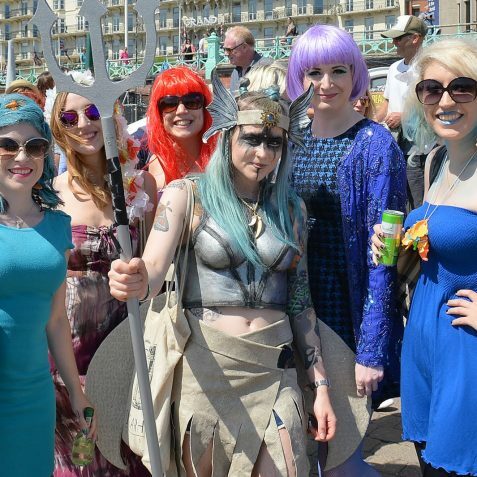 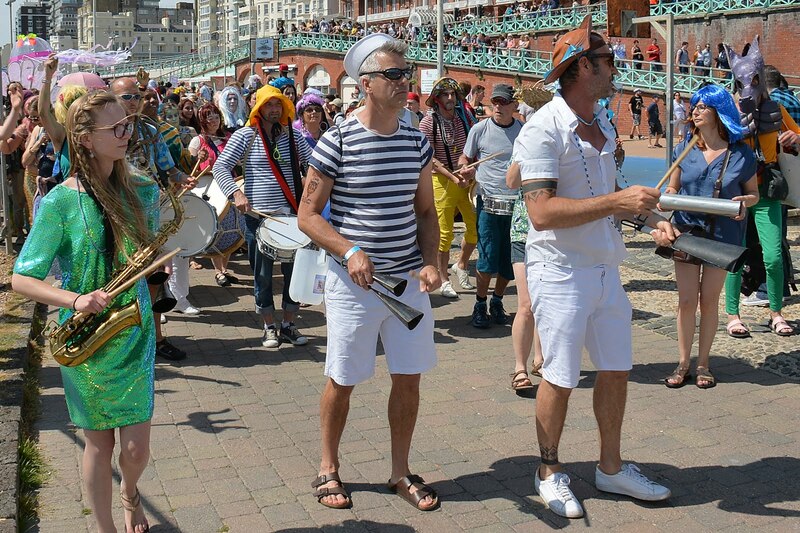 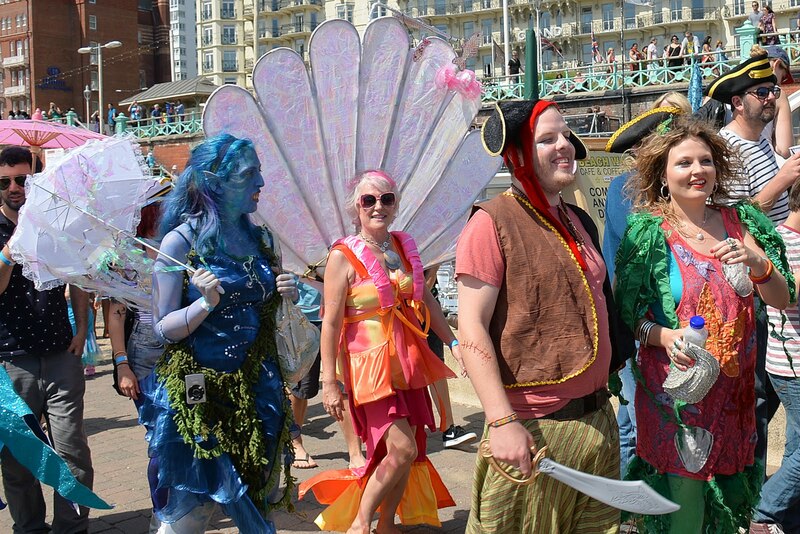 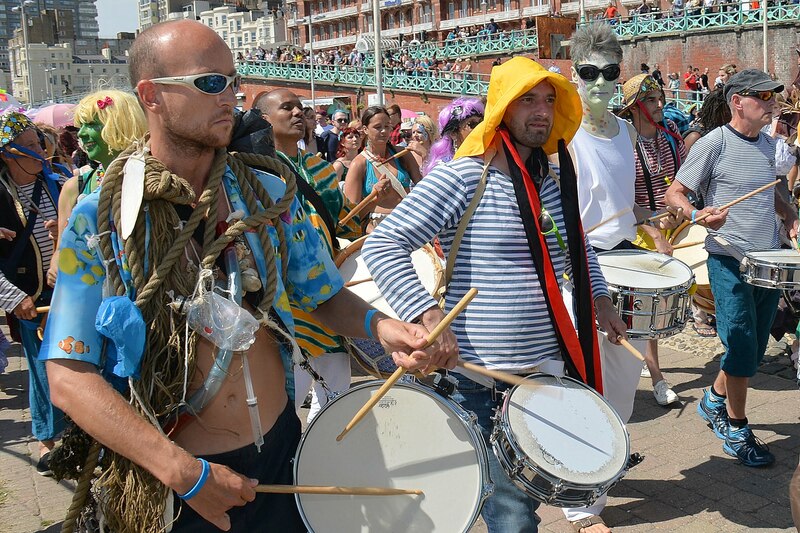 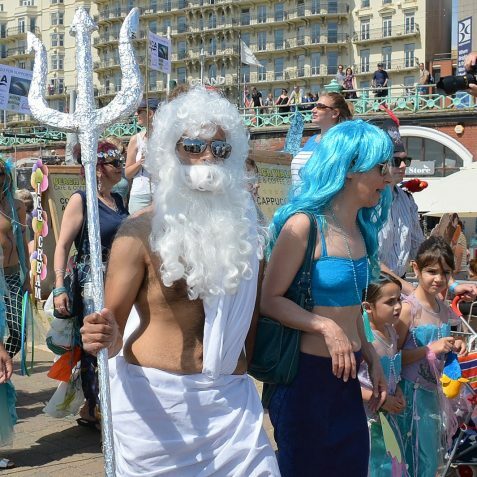 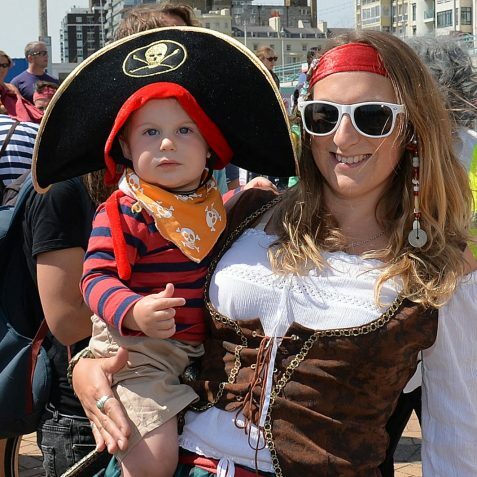 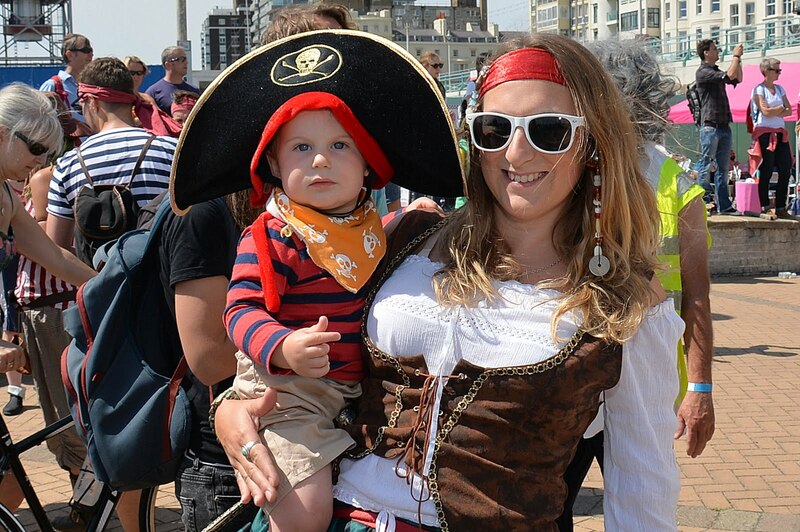 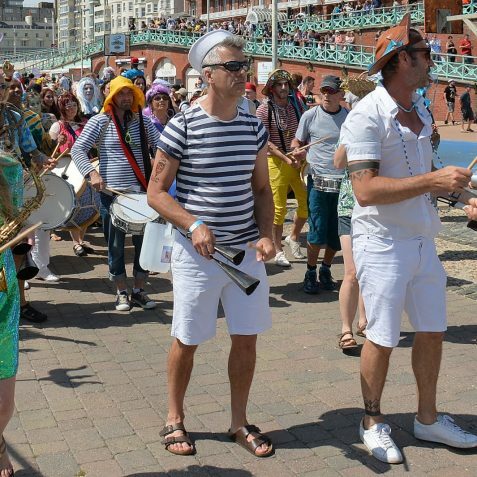 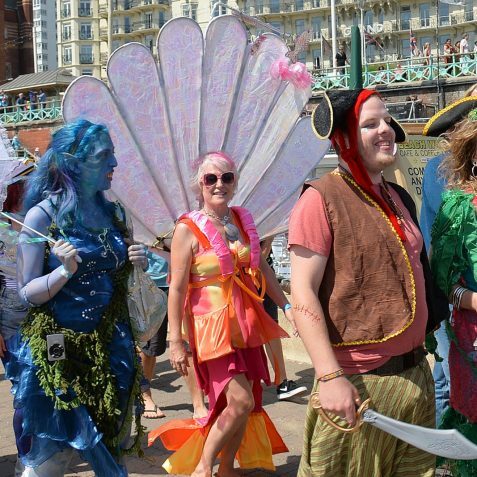 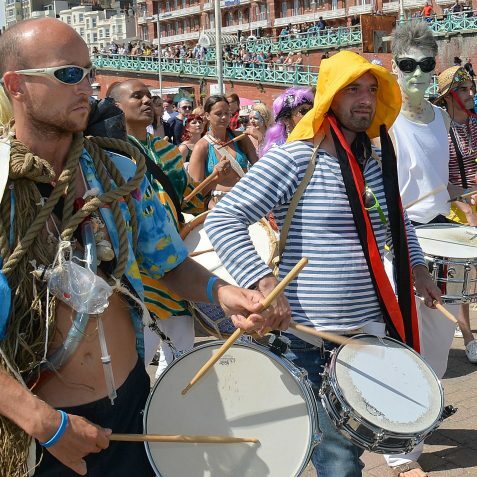 All kinds of seafaring folk, amongst them mermaids, mermen, sea creatures, sailors, pirates and other weird and wonderful entities invaded the shores of Brighton and Hove on Sunday. 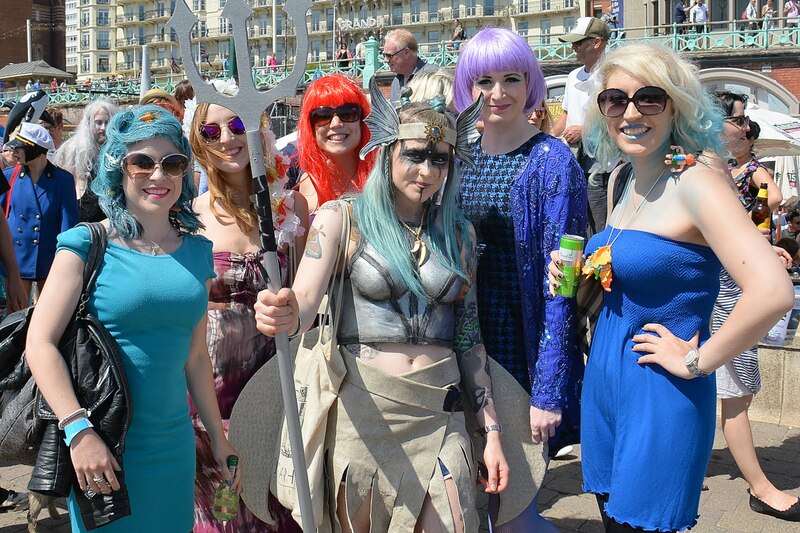 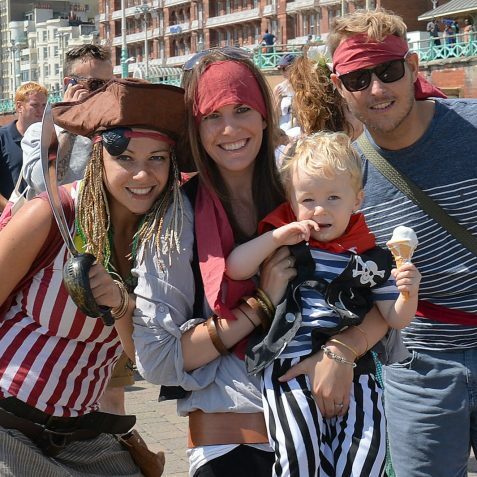 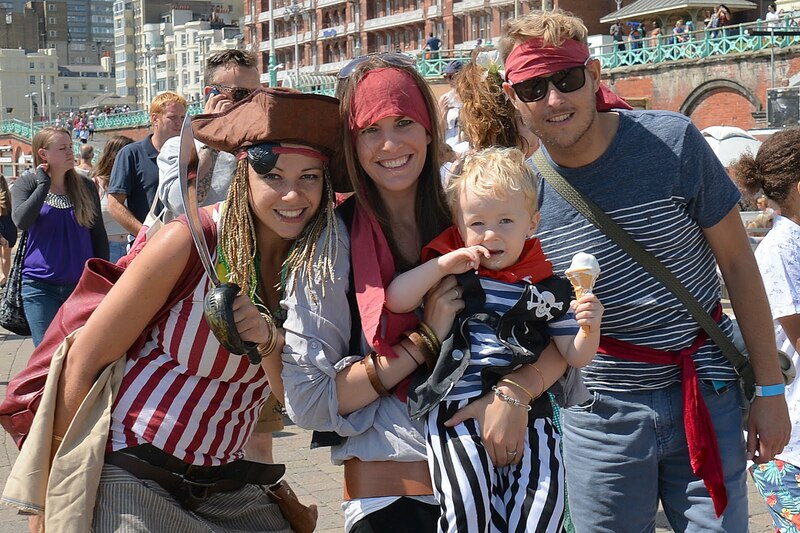 Why were all these wonderful characters cavalcading along the seafront? 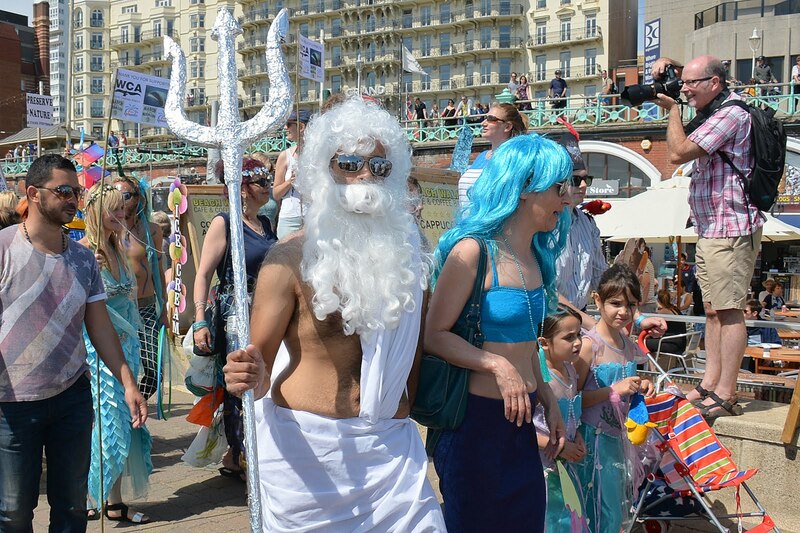 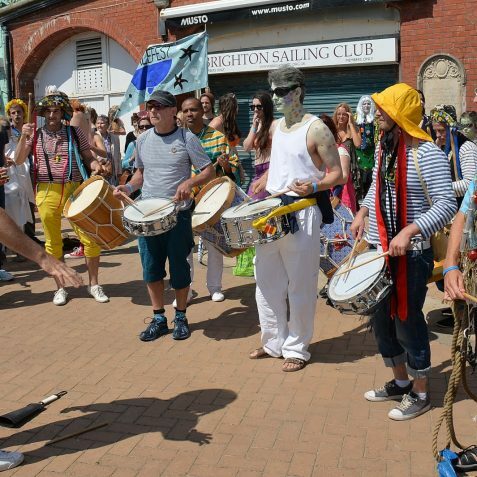 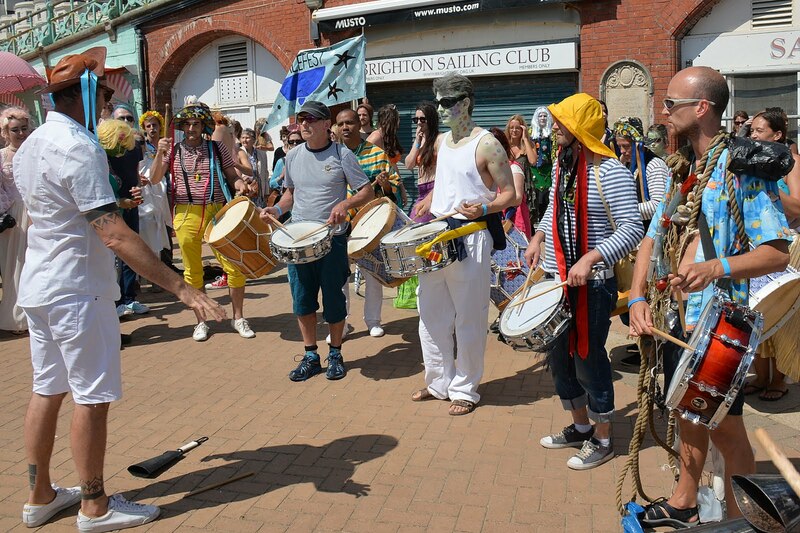 They were there to join the ‘March of the Mermaids’ parade which celebrates the sea and sealife. 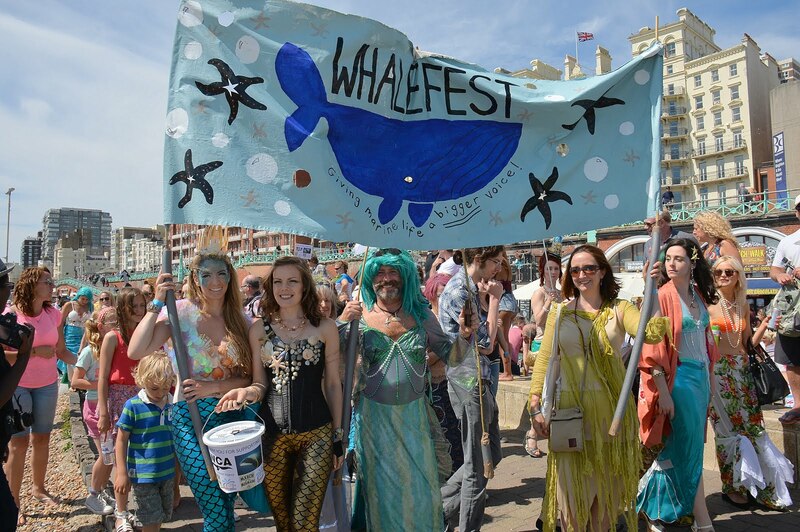 The aim of the parade was to raise awareness of marine conservation issues. 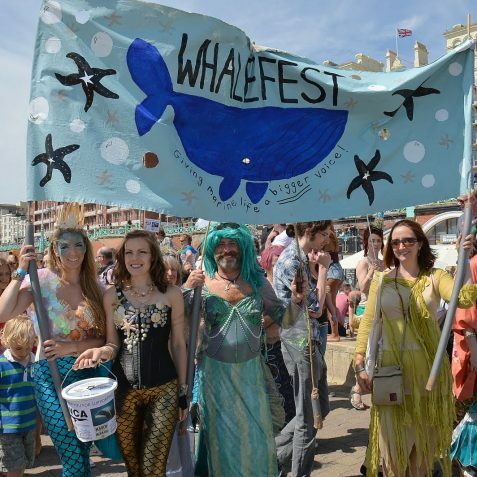 For the first time the event was run in collaboration with Brighton based Whalefest, with all profits going to World Cetacean Alliance. 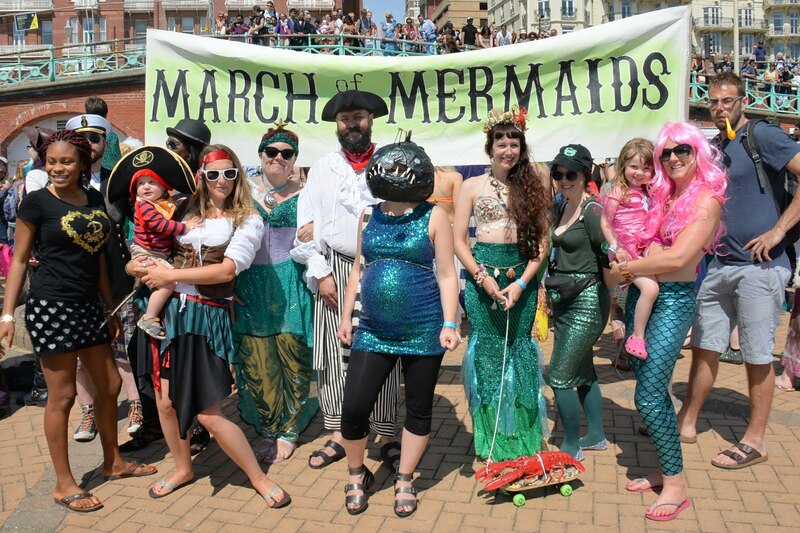 Hannah Chilton from Brighton founded the ‘March of the Mermaids’ in 2011, fuelled by her passion for the sea and obsession with mermaids. 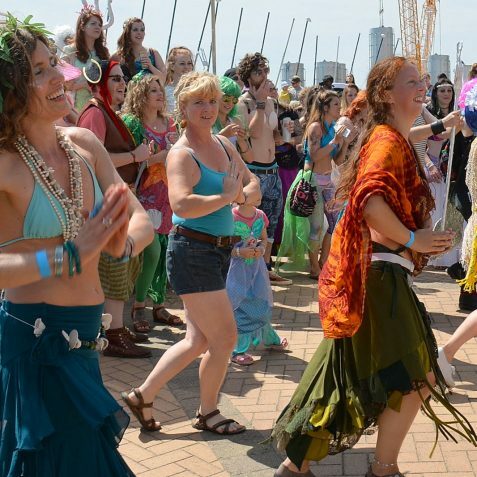 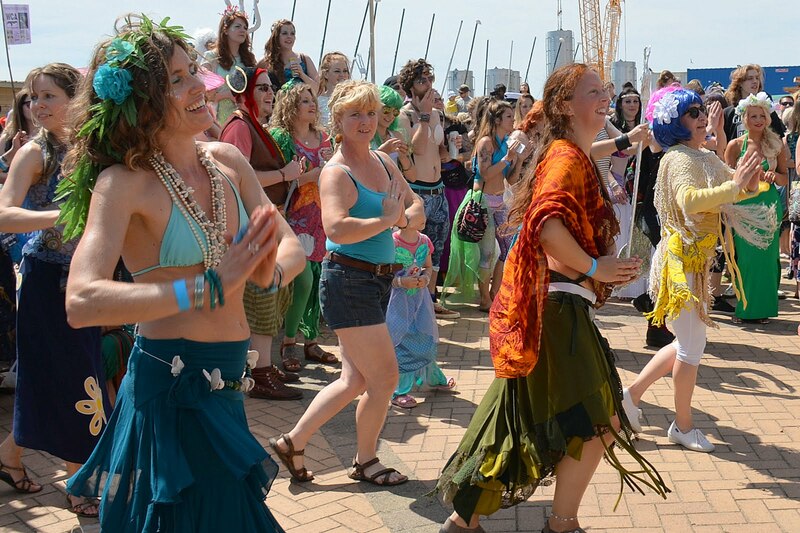 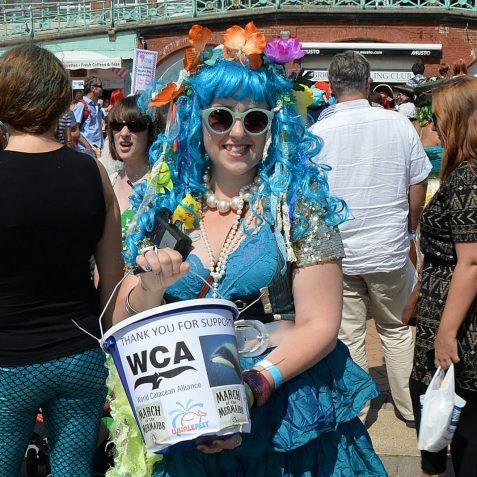 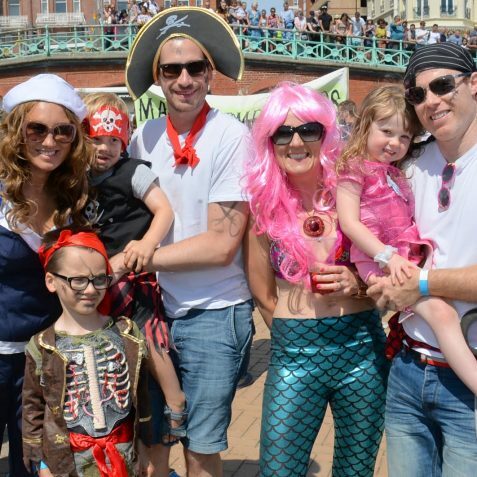 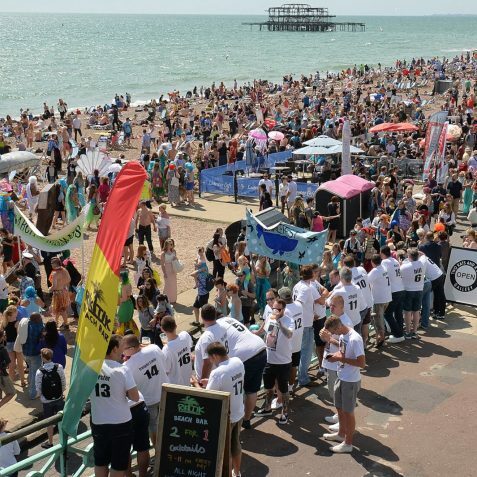 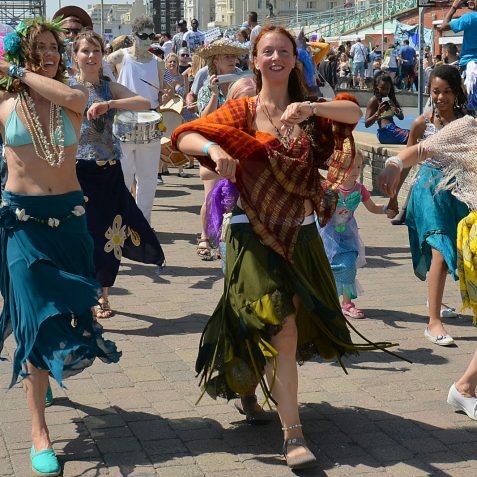 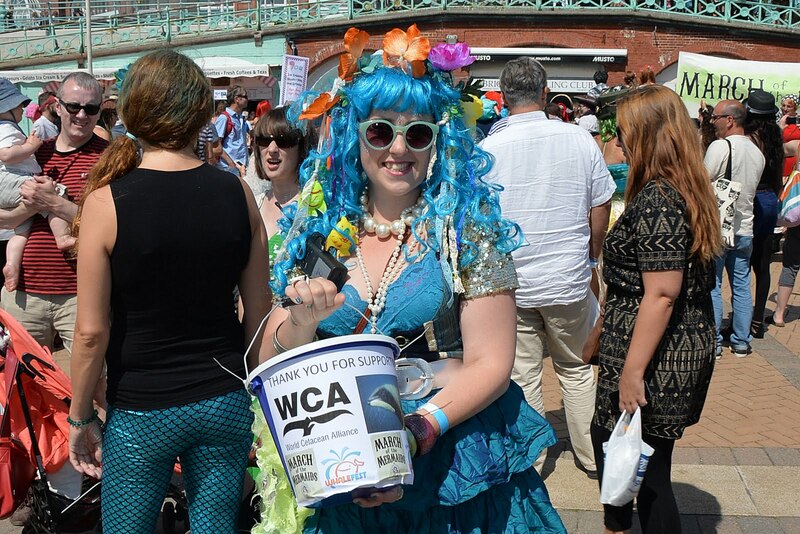 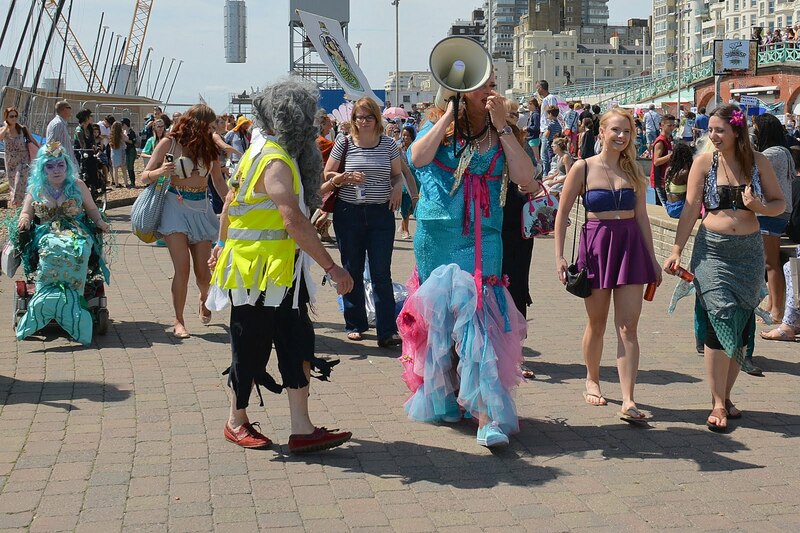 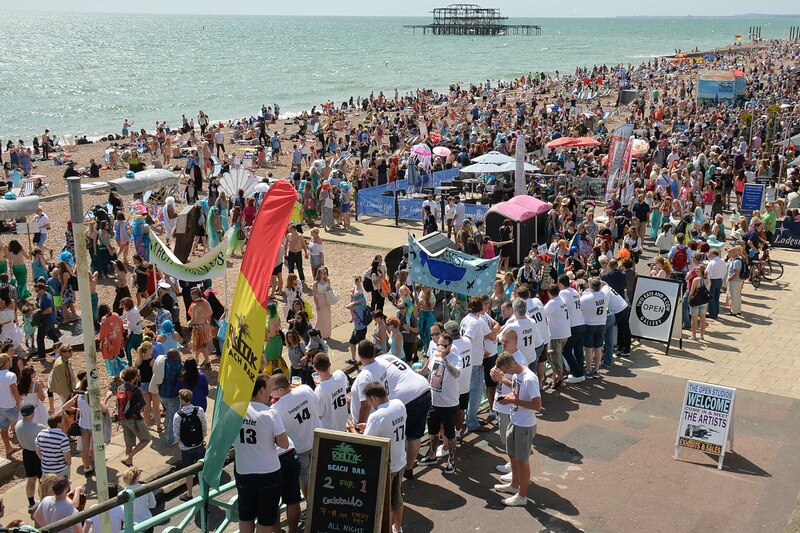 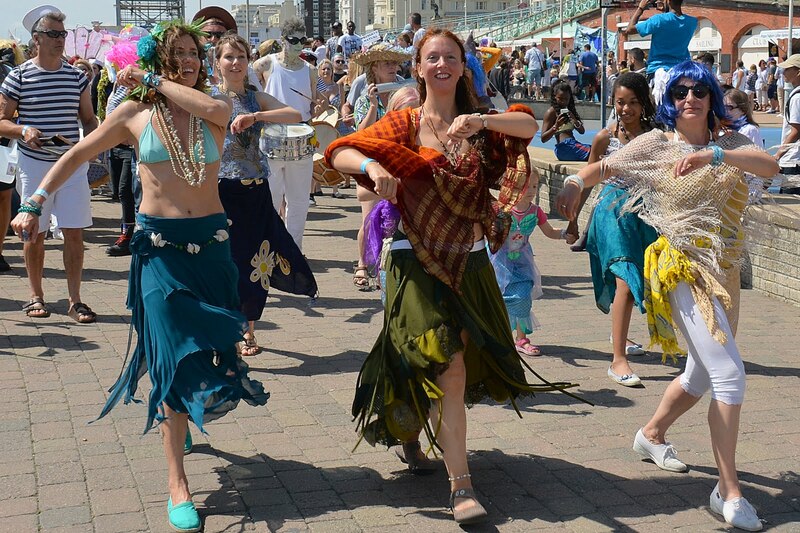 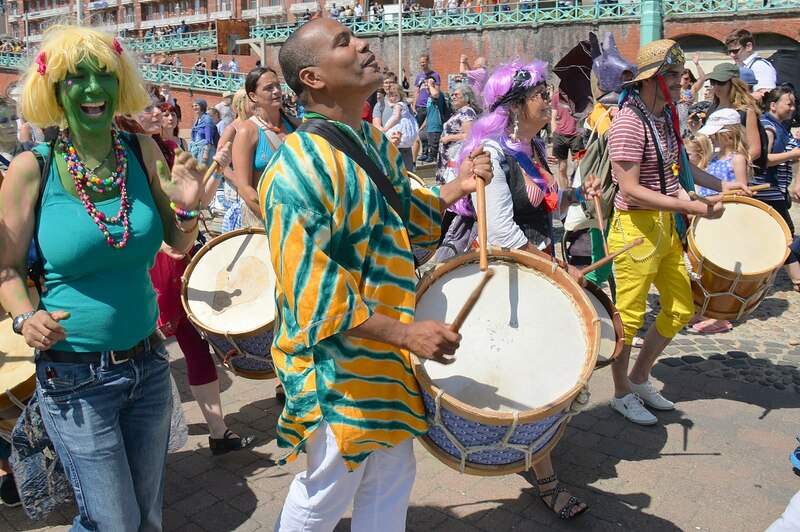 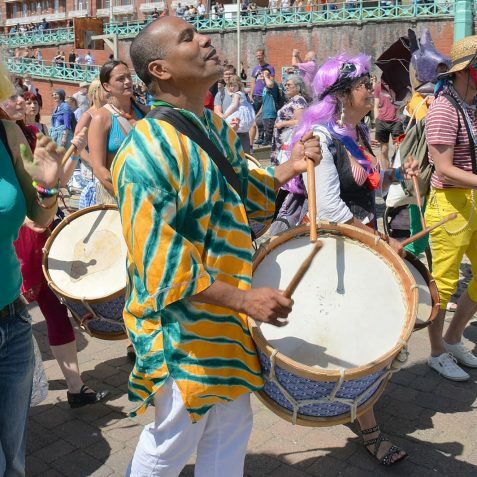 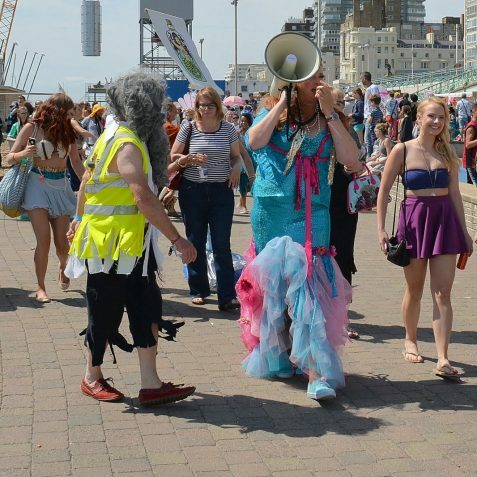 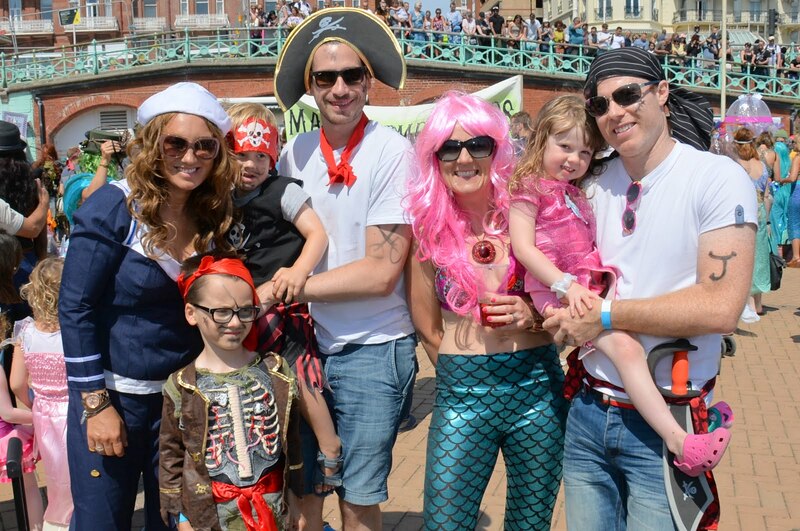 Having followed the world famous Coney Island Mermaid Parade, which takes place every year in Brooklyn, New York, Hannah was inspired to launch a Brighton and Hove version of the event.